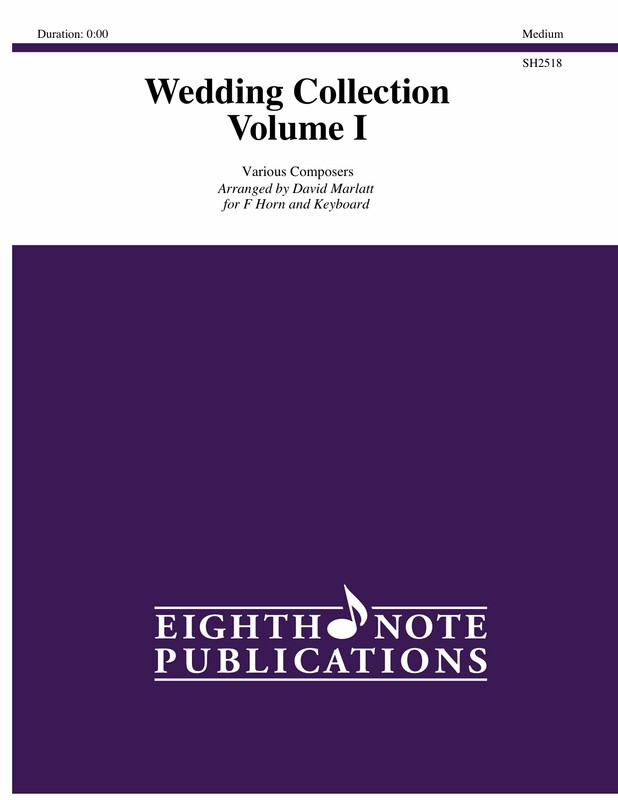 These are collections of popular pieces of Classical music that are commonly used during wedding ceremonies. These pieces can be used as Processionals, Recessionals, the Signing of the Register or simply as a musical offering during the service. Many of the pieces are quite short and can be repeated as many times as required to facilitate timing considerations such as the bridal party coming down the aisle and the Signing of the Register. All pieces have been arranged for keyboard meaning they can be performed on either organ or piano. Organists should feel free to add a pedal part at their discretion. Pieces include: Ave Maria (Bach), Bist Du Bei Mir, Wachet Auf, Ode to Joy, Prelude to Te Deum, Trumpet Voluntary (Clarke), Panis Angelicus, Air from Water Music, Hornpipe from Water Music, La Rejouissance from Royal Fireworks, Lascia ch'io pianga, Canon, Trumpet Voluntary (Stanley), Largo from Winter (The Four Seasons) and Wedding March (Wagner).